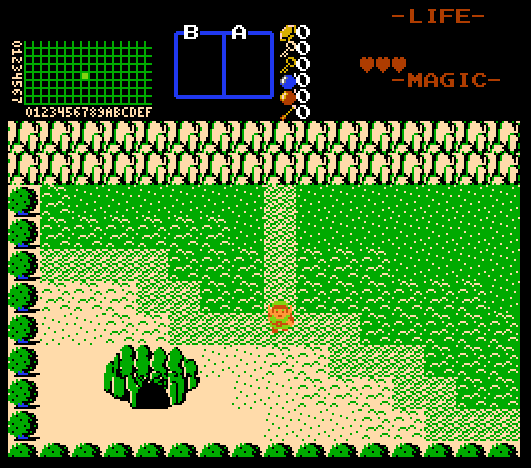 A Big Hunk of Hyrule is a classic 8-bit Zelda quest, using only the classic items and monsters. However is it very different from the original game and contains several surprises. 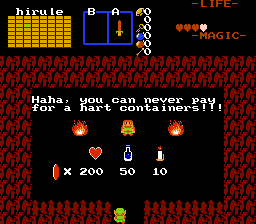 It is harder than the original game but not super hard like some custom quests can be. This is a nice little scripted Puzzle/Sideview/Story quest, that features Zelda characters but not the typcial Zelda styled gameplay. Link has lost his memories and goes on a mission to find the 50 diamonds. This quest was made for the Summer-Two-Week-Quest-Contest 2013. My first quest. Updated April 16th, 2013 -- it is now a 2.5 quest, but with no 2.5 features -- it is feature-limited by its original version 1.92b163. I have not enough time to fully bugtest the quest and it is being updated only so it can be completed, with other minor changes. This is an eleven year old quest, so please take that into account when playing it. It definitely shows my low level of skill at that age. You may enjoy it regardless. An all new quest by Mr. Z! After years of not being here Mr. Z has returned. Using the skills he learned from scripting and the new and advanced graphics that have appeared he decided to make another game! This is not it though. A new map, new items, new dungeons to explore! This is the revised version that should work better on older machines. So a few months ago, probably while I was high or dazed from a fever or something, I thought it'd be a good idea to take my first quest and change every sound effect to the Tim Allen grunt. Then I changed every midi to the home improvement theme. 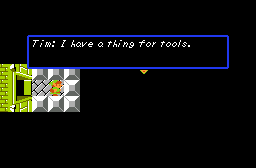 Then I changed every line Link said to a a Tim Allen one-liner. I don't know why I made this. A quest that has nothing to do with the new year. 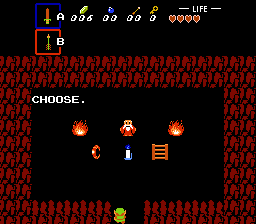 The "experiment" here is that at the beginning, you get to choose between the bracelet, candle and ladder, and this decides your dungeon progression. Its a game for russes 2 week game making contest. 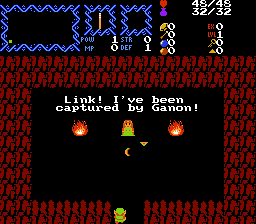 A fairly short quest where Link must make his way through a 8-floor pyramid, defeat Ganon, and rescue Zelda. One or two of the bosses may seem a little hard, so I left the quest unpassworded. I also included a cheat store. You may notice that some of the boss rooms provide extra keys. Have fun! A Long Time Ago In A Galaxy Far Far Away... I got sued by George Lucas for ripping off Star Wars. Anyway. This is a Quest that I finished a long time ago. It's the first real Quest that I made. If you've played An Ordinary Quest than the first three Levels will look familiar. 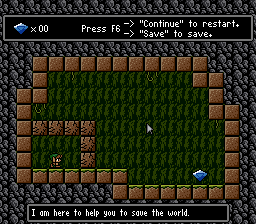 An Ordinary Quest originally started off as a remake of this. However at Level 4 I decided to make it different. So yeah. A very short and simple quest. 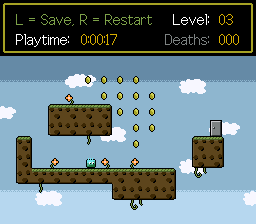 Jump around in this sideview-platformer and collect all the coins to enter the door to the next level. The game slowly gets more and more challenging as you go on. Try beating all 60 Levels! This is my first attempt at making a quest. I have little experience with other legend of Zelda games so comments about difficulty and design would be greatly appreciated.